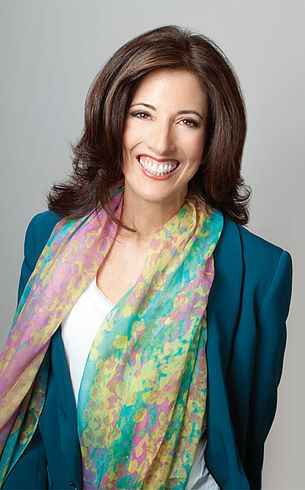 Lauren Chelec Cafritz formed her company, Experience Breath, after her own dramatic experience with learning to use her breath, and she has since worked with many individuals and corporations to change the way that they breathe, which ultimately changes everything. Join Elaine to discover how to use what we often take for granted, our very Breath. Lauren Chelec Cafritz is passionate about helping people achieve optimal health, mental clarity and joy using the power of breath. She has discovered that harnessing the full potential of the breath empowers us and provides us with emotional and physical healing. Breathwork has rejuvenated her own life. Many years ago, after her son was born, Lauren woke up unable to move her neck. A friend brought her to his breathworker and she helped Lauren release the tension and pain with specific breathing patterns. Not only did the pain melt away, but she also felt a renewed sense of energy and spiritual connection. This transformational experience launched her on a ten-year study of different breathwork methods and eventually to start a teaching practice so she could share this rejuvenation and joy with others. Lauren is a practitioner of many schools of breathwork. She continually seeks and studies new methods to deepen her own understanding and practice and to help her clients. Her certifications are in Integrative Breathwork and Transformational Breath®. Lauren is client-focused, nurturing, and compassionate. She creates a safe, caring, and healing environment to help explore and deepen your breath and improve your health. She believes that practicing a big, full breath will bring you a bigger, fuller life.